Let’s face it—there are many advantages to purchasing a new construction home or building a home from scratch. You can pick all the finishes, customize your design choices and nothing beats that new house smell! Plus the process of buying new or building couldn’t be simpler, right? Just visit the builder’s model, sit down for a nice chat with the builder rep and get exactly what you want. But how can you be sure you are getting the best deal? How do you know if you are receiving all the incentives you are entitled to? Can you be sure the builder’s sales rep will be there for you to oversee the whole process and assist you when needed? What if you need help understanding the purchase contract? Read on to learn more about the benefits of using your own real estate agent to help you in the purchase of your new construction home. You’ll be glad you did! Buying a home could very well be the single biggest purchase you will ever make. The process, however, is not as easy as going into a store and picking out what you want off of the shelf. While purchasing a new construction home may seem like that at first, it will more likely be even more involved of a process than purchasing a preowned home. Just because you can walk into a fancy builder’s model home and chat with a friendly sales rep does not make the process any simpler. So if you wouldn’t go without a realtor to purchase a used home, why would you for a new home? As a buyer, the transaction is subject to all the same twists and turns as any other real estate sale. Can’t you just trust that friendly builder’s sales rep to navigate you through the process, you ask? Sure, you could, but who do you think that sales rep legally represents? Hint: it’s not you. That’s right, the builder rep represents the seller and is always working hard to look out for the builder’s interests, often at the expense of yours. A great reason to go in with your own representation in the form of your experienced real estate agent! In the state of Texas, real estate sales are highly regulated affairs, which is a good thing for consumers. That means homebuyers can expect to be treated fairly and equitably throughout the home purchase process. In fact, did you know that real estate purchase contracts in Texas are written to not favor any one party over the other? They are deliberately neutral so neither sellers nor buyers have an unfair advantage. However, there is one notable lawful exception to this—builders’ contracts. Texas allows builders to write their own contracts however they want, often at the expense of the buyer. Items such as closing dates and performance details can be vague or tilted in the seller’s favor (remember, the builder is the seller). And guess which form most builders require the contract be written on? You guessed it—their own contract that their attorneys drew up. Having a real estate agent on your side is having someone who can walk you through the contract and take the time to help you understand what you are signing. 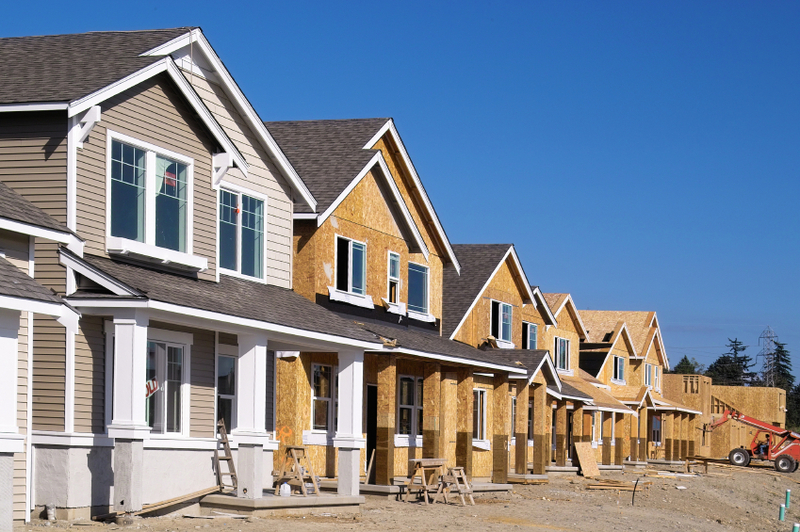 Building a home takes much longer than the time it takes to close on a preowned home. From the day you sign the contract to the day you close, it can take over a year. During the design, preconstruction and construction periods, you will be called upon to to make numerous decisions, attend walkthroughs, submit additional paperwork and possibly even oversee inspections. This is often overwhelming for the average homebuyer and can easily turn into a full time job! This is yet another great reason to have a trusted agent by your side. Not only can your agent handle all communications with the builder, but he can be physically present onsite when you can’t or he can accompany you to meetings with the builder to help you understand the process better. Many people prefer to deal directly with a seller (or builder) without the use of an agent because they believe they will get a better deal cutting out the middleman. Nothing could be further from the truth! Who do you trust more to negotiate the best deal–you, who goes through this process at most every few years, or an experienced realtor who does this everyday? In fact, not only will your agent fight tirelessly on your behalf for the best price and contract terms, he will also potentially be able to “unlock” additional perks and sweeteners that builders’ reps reserve for agents. Having a real estate agent represent you in the purchase of your new construction home can actually save you hundreds if not thousands of dollars. Oftentimes people are reluctant to use a real estate agent when purchasing a new home because they think it is going to come at a cost to them. Not true! As with most other real estate transactions in Texas, the builder pays the buyer’s agent’s commission in new construction sales. Translation: you pay absolutely nothing to have a trusted agent represent you and handle all the details on your behalf. So you can sit back, relax, choose your upgrades and let your experienced, licensed realtor negotiate a better deal for you! If you are interested in building a new home or finding out what new construction homes are available, don’t hesitate to give me a call! I’ll be happy to walk you through the process and be your trusted advisor throughout.